President Obama wants Israel to forfeit more land to Palestinians. It is rightly called land greed; but who in this administration will state so? The Philistines want all of Israel, not merely a portion. Behind the scenes exists the confirming statements. It is all about a powerful Palestinian (Philistine) State. Our president has elevated the Muslim Brotherhood, as an honorable and peaceful organization, made of men in shinning armor. Well, they are not so peaceful, endorsing attacks on Israel—God’s chosen nation. We see Israel’s elite-ness formed in the book of Genesis. This land will be rightfully placed in her hands one day, under King Jesus Christ. He will stand with the people of His blood. The Egyptian Brotherhood has stood with Osama bin Laden in his deathblow to America. Bin Laden was once a member of the Muslim Brotherhood. He inherited great wealth from his father’s (Mohammed Awad bin Laden) business that allowed his terrorist ambitions to flourish. America had part in the bin Laden family’s lucrative enterprises. Here is a video and article from CBS News regarding this family. The man interviewed is employed by the bin Laden family. I do not believe he is completely honest. I would not be surprised if he was hired to paint a pretty picture of this family. Other facts reveal the contrary regarding bin Laden’s family wealth and his inheritance. His “family was ordered to sever his £4million-a-year trust fund.” The family is Muslim in religion and Saudi Arabian in nationality. Muslims hate Jews and only use Americans for personal gain. They are not honest about their true feelings. They curse Americans in their hearts while smiling at them. They laugh at our stupidity. There is no true compassion or concern for the death of Border Agent, Brian Terry, who was murdered while protecting our borders. Obama never attended Brian Terry’s funeral or gave a speech concerning his sacrifice in the line of duty. He never phoned the family or declared a day of mourning on his behalf. President Obama’s administration desires total concealment of this incident. While law-abiding Americans are told they have no right to own a gun, this administration oversaw the selling of guns to Mexican, drug dealing murderers. Agent Terry was not allowed to have a gun; he was only allowed a bean bag gun to protect America’s borders. Internet News Facts: In December of last year, Border Agent Brian Terry was killed by Mexican gang members in an Arizona border shootout. Two of the weapons recovered from the scene had been part of the Bureau of Alcohol, Tobacco, and Firearms (ATF)’s “Project Gunrunner,” a plot whereby thousands of firearms were deliberately sold to known straw purchasers for Mexican drug cartels, then assisted across the border by the ATF itself. On May 4th, Obama regime Attorney General Eric Holder sat before the House Judiciary Committee, evading California Representative Darrell Issa’s questions about the Justice Department’s involvement in ATF’s ultimately deadly Gunrunner scheme. Is America becoming a huge, terrorist state? Here is aninterview with President Obama’s terrorist friend, Bernadine Dohrn. She was the assistant to Bill Ayres. She is also his wife. Israel, as well, requires our continual intercessions. He was born into great wealth and privilege, but Osama bin Laden used his fortune and education to wage war on the West. In the process, he became the world’s most wanted man. His father was Mohammed Awad bin Laden, a former Yemeni labourer who became Saudi Arabia’s richest construction magnate. Mohammed amassed his fortune from contracts with the Saudi royal family in the 50s, rebuilding 80% of the kingdom’s roads. His mother Alia – one of dad-of-52 Mohammed’s reported 11 wives – was called “the slave” because she was Syrian while Osama was the “son of the slave”. Soon after Osama was born in 1957, Mohammed divorced Chanel suit-wearing Alia, who went on to marry an executive in the bin Laden company. Osama was raised a devout Wahhabi Muslim living a life of luxury, yet some say his sense of alienation began with that early childhood turmoil. In 1968, when he was 11, his father was killed in a plane crash. Bin Laden’s share of Mohammed’s vast fortune was significantly less than the reported £180 million, but it was still a treasure chest that helped fund decades of fighting. From the age of 13, bin Laden attended the prestigious Al-Thager Model School, in Jeddah – one teacher recalled him as a tall, polite pupil. Later he went to the King Abdulaziz University in Jeddah. But in his teens he became drawn to Islam. His father’s firm won contracts to rebuild the Mecca and Medina mosques. And unlike his brothers, who went to the West for their education, he stayed in Saudi where universities welcomed radical Islamists – including the Muslim Brotherhood – on to the teaching staff. These radical teachers told the teenager that Islam had to be strictly adhered to in order to protect against the corruption of the West. It was a lesson that bin Laden – brought up in luxury and decadence – embraced, and he joined the Brotherhood. University friend Jamal Khalifa said they spent their time studying and not watching films or listening to music as it was against the teachings of the Koran. In 1979, bin Laden saw the Islamic revolution in Iran take hold. He was enraged when Saudi forces killed protesters who had occupied mosques in Mecca to demand a return to more traditional Islamic values. But it was the Soviet invasion of Afghanistan in 1979 that made him put into practice his radical beliefs. He saw it as an attack on Islam itself. “I was enraged and went there at once,” bin Laden said later. In 1981 he went to Pakistan and met with resistance leaders from across the Afghan border. His wealth and connections made him the perfect quartermaster for the mujahedeen and he helped build camps, roads and bunkers for the rebels before taking up arms himself. Those who fought alongside bin Laden recalled a brave guerrilla, unafraid of close combat. He espoused his hatred of America yet used support from US intelligence services in the fight against the Russians. In 1989, following the Soviet withdrawal from Afghanistan, bin Laden returned to Saudi Arabia. It was here he started building on the foundations of al-Qaeda – which is Arabic for “The Base” – the terror group he initially formed in a rented house in the Pakistani border town of Peshawar in 1988. His long-held mistrust of Saudi Arabia’s ruling family turned to anger with the invasion of Kuwait in 1991. He offered to mobilise his own force of Afghan fighters and was furious when the House of Saud rejected his offer and let America establish bases on Saudi soil. The arrival of so many non-Muslim foreign soldiers on the sacred land was a humiliation for all Muslims, he felt. “If Italy invited Muslim soldiers to protect the Vatican City, what would be the feeling of the Christian world?” he later said. Bin Laden’s outspoken criticism of the ruling elite led him to be banished – along with his four wives and many children. He set up base in Sudan and began rebuilding his empire. And the first al-Qaeda attacks on the West began. With his business experience he formed a trading company so he could import and export arms and explosives without arousing suspicion. He also formed a web of companies to cover the growing international web of terror. Veterans of the Afghan war joined him and they set up terrorist training camps deep in the Sudanese desert. After advocating the overthrow of King Saud of Saudi Arabia, his citizenship was revoked and the family was ordered to sever his £4million-a-year trust fund. The first al-Qaeda attack happened in two hotels in Aden, Yemen, targeting Americans who were part of the international famine relief operation to Somalia. An Australian tourist and a Yemeni hotel worker died in the blasts, which marked a switch from targeting troops to civilians. More attacks swiftly followed but bin Laden, from the shadows of Sudan, was yet to be identified as the puppet master. Indeed, in 1994, it was said he was free to travel to London, where it was claimed he twice visited Arsenal Football Club. But he soon became identified as the leader of a string of terror attacks. By 1996, under pressure from the United States, he was expelled from Sudan and returned to Afghanistan. In the Taliban he saw his natural allies – fierce and radical followers of the Islamic faith who hated the West as much as he did. His troops, wealth and world-wide network helped the Taliban secure the country after years of in-fighting following the Soviet withdrawal. Bin Laden created his own private army and made it a safe haven for terrorists from around the world, declaring a holy war against the US. It was from there that he plotted and launched his attacks against the West, culminating in the horrific death toll and destruction of the World Trade Center on September 11, 2001. He saw it as his greatest victory over the West and bragged of more devastating attacks to come. In fact, it was the beginning of the end. He was now the most wanted man on the planet. Video of Obama with Code Pink’s Jodie Evans. There is so much that involves this organization, as you will read below my intro letter. With all the shattering events in the news, Christians can easily wonder if the rapture is soon approaching. I do hope so, but no one knows God’s timetable. I do know things will begin to unfold when the fullness of the Gentiles comes in. God has a certain number of Gentiles to be saved before the apocalypse arrives; Romans 11:25. Everyone can be disheartened with the Egyptian crisis of destruction. By the total grace of God, He has good news amidst it all. There is a hope coming to Egypt that will relieve all oppression. We find a spectacular promise in Isaiah 19:17-2. This text addresses the arriving period when Jesus Christ will deliverer Egyptians from their sins. He is called their “Savior” and “Champion.” They will come to know the LORD by the time of His millennial rule. Christ will say, “Blessed is Egypt My people.” He will make a highway that they might worship the LORD with the Assyrians. Previous to this fulfillment of prophecy, Judah will become a terror to Egypt. God will bless Israel in power, as at no other time in history, being noted from verse 17. God reveals that He will discipline Egypt unto repentance for their salvation. We know God raises up rulers and will trodden at will; Isaiah 40. He reigns as regent over all the intricate happenings of this earth. Arabs control 99.9 percent of Middle East lands. Israel represents one-tenth of 1 percent of landmass. We all know Jews are not allowed in Arabia and this country would not forfeit an inch of their land to Israel. A day will arrive when the temple will be built and all landmass will transform to God’s glory. Code Pink co-founder Jodie Evans (co-conspirator with Pentagon bombing and other bombings alongside William Ayres) met with President Barack Obama weeks after meeting the Taliban, Oct. 15, 2009. Code Pink has acted as a go-between for Hamas and Obama. Code Pink has been to Egypt and Gaza at least five times in the past two years. Such frequent trips build networks and the opportunity for teaching tactics. Code Pink has traveled the world, working with terrorist groups, including their Jihadists friends. They thrive on anti-American governments to meet their diabolical desires. Code Pink never protests Mahmoud Ahmadinejad when it visits him in Tehran as his guest, nor did they protest Hugo Chavez when they visited him in Caracas. And Code Pink certainly doesn’t protest Hamas, their aid benefactor in Gaza. Code Pink will not march against wealthy George Soros who owns the Democratic Party and is evil beyond belief. Code Pink is totally anti-Israel and pro-Palestinian. Code Pink was not shy about its support for Hamas. The group bragged that Hamas terrorists guaranteed their safety in Gaza. At the same time, Code Pink had also allied itself with the Muslim Brotherhood. Code Pink took out banner ads on the Muslim Brotherhood’s official English language Web site, requesting jihadis to “join us in cleansing our country” of so-called war criminals, which included former President George W. Bush and wife Laura. Wikipedia: al-Qaradawi has also made statements that some critics charge are anti-Semitic. In a January 9, 2009, sermon during the Gaza War, shown on Al-Jazeera, Qaradawi prayed (as translated by MEMRI): Oh Allah, take your enemies, the enemies of Islam. Oh Allah, take the Jews, the treacherous aggressors. Oh Allah, take this profligate, cunning, arrogant band of people. Oh Allah, they have spread much tyranny and corruption in the land. Pour Your wrath upon them, oh our God. Lie in wait for them. Oh Allah, You annihilated the people of Thamoud at the hand of a tyrant, and You annihilated the people of ‘Aad with a fierce, icy gale, and You destroyed the Pharaoh and his soldiers — oh Allah, take this oppressive, tyrannical band of people. Oh Allah, take this oppressive, Jewish Zionist band of people. Oh Allah, do not spare a single one of them. Oh Allah, count their numbers, and kill them, down to the very last one. At the press conference held by the organizations sponsoring his visit to London, al-Qaradawi reiterated his view that Suicide attacks are a justified form of resistance to Israeli occupation of the rightfully Palestinian Territories. He has also justified his views by stating that all Israel civilians are potential soldiers, since Israel is a “militarized society.” Because of these views, al-Qaradawi has been accused by Western countries and Israel of supporting terrorism. Qaradawi gave a sermon which aired on the Arabic satellite channel Al-Jazeera TV on January 28, 2009, in which he expressed his desire to “go to the land of Jihad and resistance.” He tells his audience, “I will shoot Allah’s enemies, the Jews, and they will throw a bomb at me, and thus I will seal my life with martyrdom.” Two days later, Qaradawi gave another speech that also aired on Al-Jazeera, where he claimed that Adolf Hitler was sent by Allah to punish the Jews. In another sermon on January 9, 2009, Qaradawi incited violence against the Jews. “Oh Allah,” Qaradawi said, “Take this oppressive, Jewish, Zionist band of people…do not spare a single one of them. 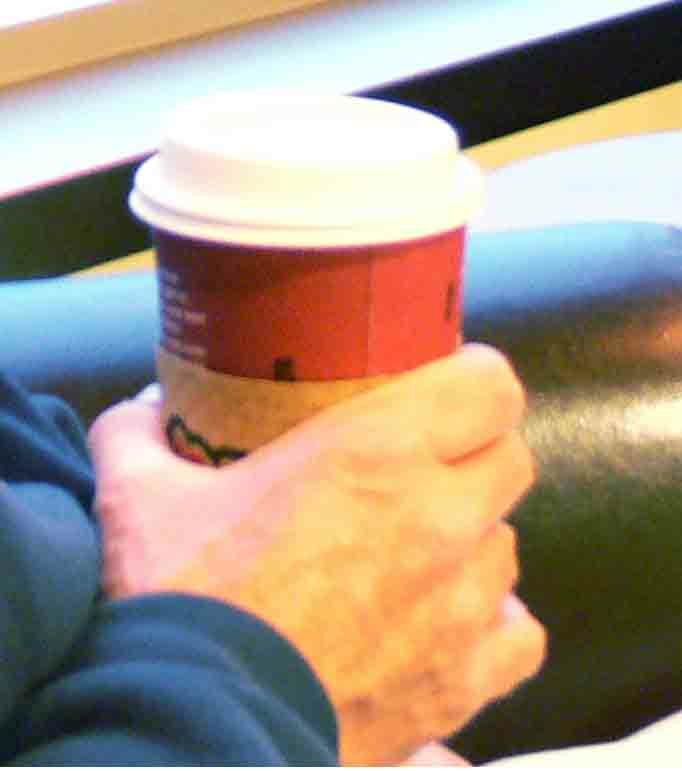 Oh Allah, count their numbers, and kill them, down to the very last one.” Qaradawi also called on Muslims to boycott Starbucks and other stores that he said support Israel. More on bottom of page regarding Qaradawi. The protests Friday in Egypt were dubbed by the Muslim Brotherhood, a “day of rage.” The Brotherhood said its members will demonstrate “with all the national Egyptian forces, the Egyptian people, so that this coming Friday [today] will be the general day of rage for the Egyptian nation.” “Days of Rage” is what the Weathermen called their violent, riotous protests in Chicago in 1969. “The question is begged: What have Obama’s allies Ayers, Dohrn and Code Pink taught the Muslim Brotherhood and other anti-Mubarak organizations in Egypt about using protests, riots and the modern social media to coordinate their actions to undermine the Mubarak regime? Being that they have common enemies–the United States, Israel, and governments allied with them–it is understandable that they would be allies. It must give them encouragement that President Obama has yet to disavow Jodie Evans and Code Pink, but instead continues to do business with them as Evans and Code Pink act as conduits between terrorists and Obama. ”What may be behind Egypt’s uprising, an Obama designed plot? Only God knows all that is manufactured behind the viewed scenes. Gamal Noman/Agence France-Presse — Getty Images Opposition protesters in Yemen on Thursday sported pink, as planned. Militant Islam Monitor > Articles > Obama Confidant Bill Ayers Joins Pro-Hamas Demonstration in Egypt. Obama Confidant Bill Ayers Joins Pro-Hamas Demonstration in Egypt. January 4, 2010. Obama Confidant Bill Ayers Joins Pro-Hamas Demonstration In Egypt January 4, 2009 – San Francisco, CA – PipeLineNews.org – On New Years’ Eve, Bill Ayers, the unapologetic Weather Underground domestic terrorist who launched Barack Obama’s political career, his wife, the equally notorious Weather Underground leader Bernardine Dohrn, Jodie Evans – Code Pink bigwig and a major Democrat Party funder with over 22k in donations reported to the FEC in 2009 – and a gaggle of other Jew hating leftist gathered in front of the Egyptian Museum in Cairo to join in solidarity with the terrorist group Hamas. • Currently a liberal professor of education at the University of Illinois. • Holds no remorse for his undertakings. In 1970, Ayers’ then-girlfriend Diana Oughton, along with Weatherman members Terry Robbins and Ted Gold, were killed when a bomb they were constructing exploded unexpectedly. That bomb had been intended for detonation at a dance that was to be attended by army soldiers at Fort Dix, New Jersey. Hundreds of lives could have been lost had the plan been successfully executed. Ayers attested that the bomb would have done serious damage, “tearing through windows and walls and, yes, people too.” Notably, Ayers’ fingerprints were found at the bomb-making factory, along with an assortment of anti-personnel weapons, stabbing implements, C-4 plastic explosive, and dozens of Marxist-Leninist publications. Ayers wrote, “The GFM wanted to enter Gaza 1,400 strong to express solidarity with civil society, witness their struggle for survival and self-determination, and join in a massive peace march.” “Civil society” in this case being that fostered by Hamas in Gaza. Protest observers said the crowd numbered less than 500, far below the organizers’ rather generous estimate. Ayers and his wife, Bernardine Dorhn, have three children. One is named Malik (the Muslim name of Malcolm X), and another is named Zayd (after Zayd Shakur, a Black Panther killed while driving the cop-killer JoAnne Chesimard — a.k.a. Assata Shakur — to a hideout). In December 2009, Ayers and Dohrn were among the 1,300 American and European activists who traveled to the Egypt-Gaza border to participate in a pro-Palestinian, anti-Israel demonstration led by Code Pink. We know that the Muslim Brotherhood supports the uprising in Egypt. The Obama administration does as well. Based on the release of a secret document, it’s been learned that the United States government supported the April 6 Youth Movement – a group that played a key role in the uprising – in the form of a summit in Washington, D.C. That summit took place from December 3-5, 2008. We also know that Bill Ayers and Bernandine Dohrn were in Cairo a little more than one year later, engaging in protests while attempting to show solidarity with Hamas by entering Gaza with Egyptian protesters. According to Dohrn, both she and Ayers were detained at the U.S. Embassy in Cairo. They, along with Code Pink, weren’t permitted to assemble the mass of people they had hoped would join them in their march into Gaza but were able to round-up a few with begrudging approval from the Mubarak administration. Waiting for them with open arms was former Hamas Prime Minister Ismail Haniyeh. 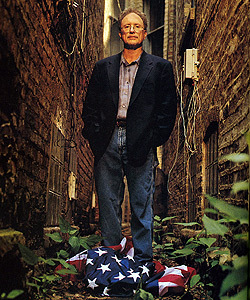 Barack Obama and Bill Ayers had a significant relationship in the 1990’s, despite the president’s claim to the contrary. Sharing a business address for three years and working with millions of dollars together necessarily debunks the claim that Ayers was little more than “a guy who lives in my neighborhood.” We also know that Ayers is an avowed Marxist. Another group Ayers and Dohrn support is the Free Gaza Movement. They – along with Code Pink founder Jodie Evans – were instrumental in organizing it. That group is credited with launching the flotilla in the spring of 2010 designed to break Israel’s blockade of Gaza. Coincidentally or conveniently, the flotilla’s attempt to break the blockade took place on Monday, May 31st. It immediately grabbed the headlines, which had only days earlier been a burgeoning scandal that was getting dangerously close to the Obama administration. On the preceding Friday, May 28th, former president Bill Clinton took the fall in the matter involving Pennsylvania congressman Joe Sestak’s claim that he was offered a job by the administration to drop out of his primary race with Arlen Specter. Interestingly, Turkey’s involvement in the flotilla speaks volumes with respect to apparent motives, especially in light of recent events. The Muslim Brotherhood was formed in 1928, just four years after the fall of the Turkish Ottoman empire, an Islamic caliphate devoid of nation states. Its goal is the reestablishment of that empire. As long as Mubarak’s government is in power, Egypt cannot be part of it. The Obama campaign and its subsequent administration, has targeted America’s youth in the cause of furthering the change it seeks. Ayers has consistently done that as well; he’s a professor who founded the Small Schools Workshop. In Egypt, according to that secret document, it’s the April 6 Youth Movement – with the endorsement of the Obama administration – that is instrumental in this attempt to take down the existing government. When contrasted with the Iranian uprising of 2009 – a revolt that sought to take down a theocratic Islamic regime and deserved strong United States solidarity – Obama was far less supportive. In recent years, relations between Iran and Turkey have become stronger as the Turkish government becomes more Islamist. Conveniently or coincidentally, the actions – and now words courtesy of the once secret document – of the Obama administration, coupled with the actions and words of Bill Ayers indicate a desire on the part of both to usher in a new Islamic caliphate in the Middle East, assuming they’re not ignorant of the Brotherhood’s goal. For example, Benjamin has drawn conservative criticism for her support of Hugo Chavez and her attacks on the U.S. embargo of Fidel Castro’s Cuba. David Horowitz’s FrontPageMag attacked her as “a long-time Castro acolyte,” and wrote: Many of the causes that Ms. Benjamin espouses are Communist in nature. The Washington “peace” rally at which she spoke last month, for instance, was organized by the Workers World Party, a Communist organization… In years past, she staunchly opposed US military aid to those fighting against Communist forces in Central America… She favors the creation of a government-sponsored universal health care system funded by taxpayer dollars. She exhorts the US government to lift its trade embargo against Cuba – a nation she notably lauds as a place where people have managed to “thrive despite the odds” against them. Jodie Evans, Medea Benjamin, Diane Wilson and the radical Wiccan spiritualist known as “Starhawk” helped create CODEPINK. These women have close working relationships with the leaders of the other principal radical anti-war groups, including ANSWER (“Act Now to Stop War and End Racism”) and United for Peace and Justice, which is led by longtime socialist and Fidel Castro devotee Leslie Cagan. CODEPINK’s leaders are not pacifists — they are revolutionaries. They are not devoted to peace — they are dedicated to political turmoil. They are not even feminists in the ordinary sense of that term. While they hold themselves out to the public as women who have left the kitchen for the street on behalf of peace, the leaders of CODEPINK are actually well-organized political operatives on a radical mission. She favors the creation of a government-sponsored universal health care system funded by taxpayer dollars. In the 1980s, Benjamin helped form the Institute for Food and Development Policy (IFDP), which sent aid to the Marxist Sandinistas ruling Nicaragua. During the 1990s, she and other members were field marshals during the anti-globalist riots in Seattle. In 2000, she was the Green Party candidate for the California U.S. Senate seat held by incumbent Dianne Feinstein, a Democrat. She chronicled her radical, Socialist agenda in her book, I Senator. From the fall of 1967 through the end of 1970, nine police officers were killed and 56 were wounded, and ten Panther deaths and an unknown number of injuries resulted from confrontations. In 1969 alone, 348 Panthers were arrested for a variety of crimes. On February 21, 1970, gasoline-filled Molotov cocktails were thrown at the home of New York State Supreme Court Justice Murtagh, who was presiding over the trial of the so-called “Panther 21,” members of the Black Panther Party over a plot to bomb New York landmarks and department stores. One bottle full of gasoline had broken against the front steps, and flames scorched the overhanging wooden frame until its contents burnt out. In addition windows were broken, and another molotov cocktail caused paint charring on a car. Painted in red on the sidewalk in front of his house was “FREE THE PANTHER 21”, “THE VIET CONG HAVE WON”, and “KILL THE PIGS”. The same night, molotov cocktails were thrown at a police car in Manhattan and two military recruiting stations in Brooklyn. The son of Justice Murtagh claims that the Weatherman were responsible for the attempted arson, based on a letter promising more bombings sent by Bernardine Dohrn to the Associated Press in late November, 1970, Some authors assume that letter is generally assumed to refer to an October bombing of a Queens courthouse. NYPD Chief Detective Seedman quoted Dohrn’s December, letter as stating ‘two weeks before the townhouse explosion, four members of this (WUO) group had firebombed Judge Murtaugh’s house in New York as an action of support for the Panther 21.”  No one was caught or tried, for the arson attempt, several sources state that the arson attempt was enacted by the Weathermen but was considered a failure. Arizona Shooter—The Facts on Jerod Loughner, etc. He hates the police and wrote “Die, Cops.” He was never their friend and had experienced various arrests. He was charged with drug possession more than once. He was into LSD and marijuana. In the past, he burned the American flag. He was also into heavy metal music. He stated he was an atheist and delved into tai chi meditation. He was sexually deviant and made vile comments in college classes. Students who attended classes with him, and his instructors, feared for their lives. He claimed to be a terrorist as one MSNBC headline read. Karl Marx and Hitler are listed among his favorite authors on his webpage. I viewed a clip of an investigating Arizona sheriff who blamed the republicans for the shootings. When he was asked key questions regarding the facts, including the disclosure that Loughner had been in contact with Gabrielle Giffords in 2007, he admitted he knew this and other facts that pointed away from his hasty accusatory remarks. He began to appear a bit humble when his statements proved to be lies. He did admit he was a democrat. He certainly did not want people knowing the proven facts so anger could burn for republications without justification. It was in 2007 that Loughner and Giffords exchanged kind notes with one another after he attended one of her rallies as her supporter. It appears she thought he was great at the time. He may have planned to kill her around or before this instance. Things are hateful and wild—many are blaming Sarah Palin for the Arizona deaths. Some liberals want her murdered now!! Some want her in prison for the Arizona killings. CBS News: Http://www.cbsnews.com/8301-503544_162-20028458-503544.HTML: “There is no evidence that alleged shooter Jared Loughner was inspired by Palin … It appears he is a young man with a loose grip on reality and muddled politics far outside the mainstream.” Palin never requested anyone die, nor even implied such a horrendous thing. She stated liberal democrats needed to be defeated in the polls and that included Gabrielle Giffords. We are shocked and saddened by what occurred with Mrs. Giffords and the other victims. Representative Giffords does need Christ to save her from her godless agendas that include murder. She is responsible for countless murders—baby murders through her legislative actions. We need a baby coffin and a mournful funeral for every unborn child murdered in this nation. Giffords approves of every aspect of unborn child murder. Someone posted a video on YouTube of many people citing their death threats and torture desires for Sarah Palin on twitter. YouTube removed it, as people had their twitter ID’s with photos alongside their death wish statements that even commanded that people kill her. The threats were outrageously shocking. Apparently, YouTube did not want to incriminate anyone or expose the truth. Satan is the one who insights murder and lies; John 8:44. He is the father of lies. However, men choose to follow and obey Lucifer in the ways of murder, lies, rebellion, indecency, impurity, etc. In the last days, his might will increase. It certainly appears that the closing days are on the horizon. Fortunately, we can rest in the fact that only God knows when the rapture and tribulation will hit the world scene. I do not agree with Sarah Palin on her unbiblical agendas, also her worldly desires, methodologies and philosophies. I am grateful she stands for unborn children and their right to live, including imperfect babies. God stated, “with child” not with embryo. They are children and photos from the womb confirm this. New Hampshire State Representative Timothy Horrigan has resigned from the General Court, the Granite State’s legislature, over a posting on his Facebook page in which he mused that the Tea Party’s uncrowned queen Sarah Palin might be a more potent political figure if she were dead. He is the second Democrat running for election to the New Hampshire House of Representatives to make the same gaffe. Keith Halloran posted on Facebook his wish that Sarah Palin and her daughter Bristol’s ex-boyfriend Levi Johnston — the father of her grandson — had died in the Alaska plane crash that claimed the life of former U.S. Senator Ted Stevens. This Arizona killer deserves the death penalty and his wickedness cannot be blamed on republicans, guns, drugs, insanity, influences, parents, etc. He is fully responsible for senseless murder even if he claims insanity. In Idaho no one can claim insanity in self-defense. Praise God! Our unsaved legislators need the LORD. It is a distressing fact that 49 death threats reached legislators in the last year. About twice as many as in the previous year. Salvation and repentance are the answers. God blesses those nations whose God is the LORD of righteousness. I must add, I could never state republicans are perfect and have not been unjustly cruel at times. It does appear our nation is reaching the point of exercising little or no wisdom. God and His holy Word, the Bible, are the only answers to our nation’s woes. A statue of Joseph Stalin was displayed at the D Day Memorial in the state of Virginia in positive memory of this terrorist who murdered millions of innocent people. What’s their new name? People do sit up and notice when a church exchanges names as display tags say a lot to passing folks these days. I recently read a short piece that stated people want their church names to make people feel good when they enter the doors. I notice they also want them thought-provoking. In recent years, some churches that are Baptist have removed Baptist from their name though they are still Baptist affiliated. Of course, any worldly-minded person recognizes “Baptist” does not sound trendy at all and it does not fit into a new age generation mentality. Most people probably have no inkling what Baptist means. I read one article that suggested churches implement corporate names, as this would certainly add to the contemporary look many fellowships want to achieve. Everyone else is doing it! Why not? Attendees today certainly don’t want their churches looking peculiar or separate. Oh no, that would be too Biblical! With energizing mega churches springing up everywhere with hefty mortgages, some fellowships may find corporate aid perfectly appropriate for paying for roadside signs and advertisements. Enterprises simply ask for their name to be placed in neon spectacle. For the Spanish world, how about “Tostitos Latino Temple?” Would “Coke for the Real Thing Fellowship” work for some? Please consider our sad church apostate days where people cannot endure the sound doctrine of the inerrant Word, but do covet fast food, specialty drinks and entertainment even in the church. I am not truly being serious about corporate names, however, I am serious about making a point. True Christians are to put aside their worldly desires when coming to worship God. Nehemiah did all he could to stop buying and selling on the Sabbath in the Old Testament—chapter 13. The Jews wanted to be either buying or making money every day of the week and did not even want to set themselves apart from worldly endeavors in their worship of God. Because the people were so materialistically minded, Nehemiah had to take drastic measures to correct for godly change. Jesus Christ did not want merchandise carried through a “house of prayer.” He did not desire any buying and selling near a place of worship; Mark 11:15-17. Christians today try to justify this in various forms as they say they are not robbers. However, this activity is simply stupid in appearance and there is no example of buying and selling found in the Scriptures regarding the church. Anyone in their right mind knows this looks unseemly and has nothing to do with worship, ministry and prayer. It also appears, few heed 3 John 6 that states we know the true ministers of God by the fact they refuse to take money from the Gentiles (unsaved). We can know true ministers of Jesus Christ through various godly attributes including the fact they refuse to be supported by any unsaved person or organization. Years ago, I was in a church where the leaders had no problem taking money from a secular grocery chain and church attendees were using an awards card, which gave a portion of the money spent to the church. Of course, this chain got its kick back as well, as it gained a greater clientele. This church also displayed furnishings for a local business for a period. It makes a true believer sick to their stomach to think about such things. In this day and age one does have to be wary of church names and affiliations. A name never tells all. I knew a couple that attended a church that preached a strong Gospel message and it appeared to be most godly. However, when they decided to look more into the denomination, they found they supported Planned Parenthood, the ACLU, etc. They sadly departed in despairing shock. WCC uplifts a new age demonic false jesus. Their jesus does not hate sin and he doesn’t care if you worship idols, which God calls partaking of the cup of demons. Every religion has a fit in their ecumenical scheme as long as it doesn’t take the Bible too literally. When it comes to church names today, one must Biblically investigate and examine, implementing the entire scope of the Scriptures. A changing nor never-changing nametag never divulges all. It is never too late for us to learn.